I have wanted to read a Satyajit Ray book for a long time. I wanted to start with the Feluda stories. But someone mentioned the Professor Shonku stories, and because I have never heard of Professor Shonku before, I thought I will try his stories first. There are three volumes of Professor Shonku stories available in English translation, and ‘The Diary of a Space Traveller‘ is the first one. ‘The Diary of a Space Traveller‘ has twelve stories. The first one is the title story. In this story, the narrator’s neighbour comes and gives a diary to him. It looks like some kind of meteorite has crashed nearby and this diary was found in that site. This diary is written by Professor Shonku, in which he writes about his attempts to build a rocket to reach Mars and what happens during that trip. It looks like the Professor hasn’t come back to Earth but his diary somehow has. The narrator then finds more diaries in Professor Shonku’s house which detail his past adventures. These comprise the rest of the stories in the book. I loved every story in ‘The Diary of a Space Traveller‘. The title story is science fiction and most of it happens in outer space and other planets. There are other stories in the book about dinosaur bones, ghosts, Ancient Egypt, Mesopotamia, hypnotism, the mysteries of the human brain, robots, intelligent birds, miniature planets and miniature living beings. In these very different stories, Satyajit Ray explores many fascinating mysteries which have haunted the human imagination. The stories feel like classical science fiction / fantasy – the kind of stories which came out in the 19th century and the dawn of the 20th century, that Jules Verne, H.G.Wells and Arthur Conan Doyle used to write, the kind of stories which came out before science fiction writers moved their stories to other planets and galaxies with alien civilizations, which sounded the death knell of classical science fiction. 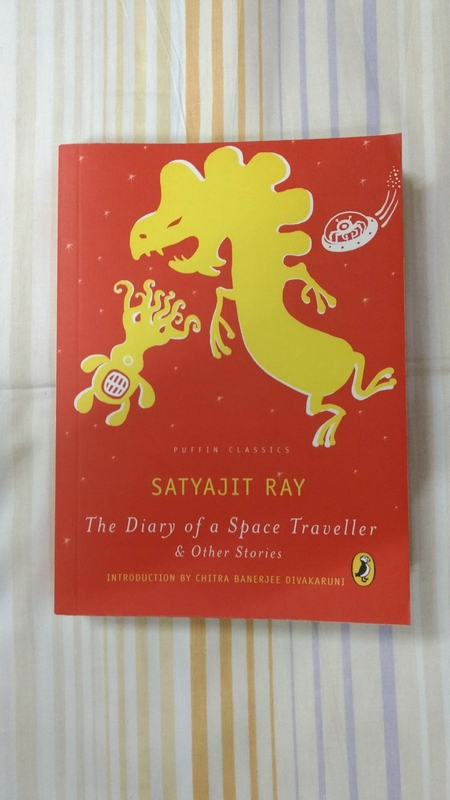 Satyajit Ray’s stories hark back to that innocent era of classical science fiction and I felt nostalgic while reading them. Many of the stories are open ended with no clear cut resolution in the end. It adds to the beauty of the story. The prose flows smoothly, there is enough information to make the reader understand the story, there is the right amount of humour. The translation by Gopa Majumdar is beautiful – I can only imagine how much more beautiful the original Bengali version must be. I loved the main characters – Professor Shonku, our eccentric scientist, his assistant Prahlad, his cat Newton, his neighbour Avinash Babu, who is always taking potshots at the professor’s research. Then there are characters who come only in specific stories, who are all fascinating. 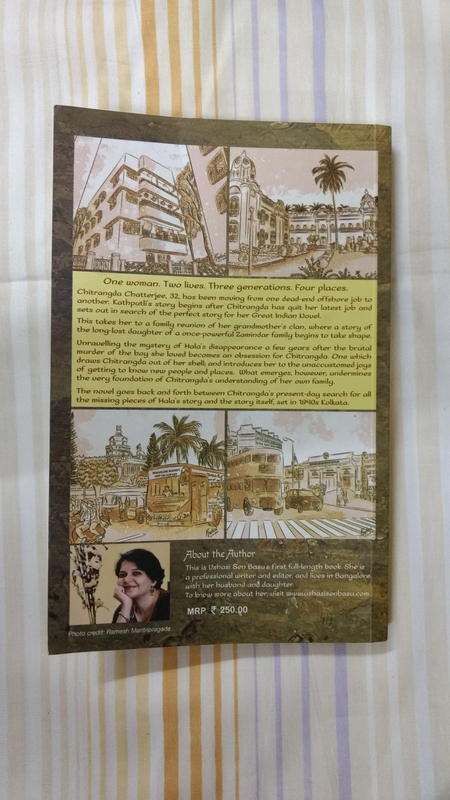 The book has an introduction by Chitra Banerjee Divakaruni, in which she describes how Bengali children loved Professor Shonku’s adventures when they first came out. The book also has an afterword by the translator which makes for interesting reading. I loved ‘The Diary of a Space Traveller and other stories‘. The stories in it were fascinating, gripping and entertaining. I loved the classical feel of the stories. I can’t wait to read more Professor Shonku adventures. I have to say one last thing. Bengali friends, I am so jealous of you. I am so jealous that you got to read Satyajit Ray’s stories when you were young. I am so jealous that you got to read them in Bengali. I am happy I discovered them finally, but I wish I had read them when I was young. Have you read this book or other Professor Shonku adventures? What do you think about them? This is my second book for this year’s German Literature Month and this is my second Stefan Zweig book in a row. ‘Journey into the Past‘ was highly recommended by Seemita from Fleeting Brook. The story told in ‘Journey into the Past‘ goes like this. A man and a woman meet after many years. There is warmth and friendliness and even sparks between them. They board a train and travel together. Their minds go back to the past. Once upon a time the man was poor. After working hard and getting himself an education, he ends up working in a company. He works hard there and catches the eye of the director who takes him under his wing and promotes him. At some point, as the director is keeping in poor health, he requests our hero to move into his spacious villa as a guest, so that it is easy for them to work together. Our young man, after some initial resistance, agrees. He is sceptical about the move, because he hates rich people, in principle, because they make him feel poor, even more. But then he meets the director’s wife who treats him with respect and removes all such negative thoughts from his mind. Before long a beautiful friendship develops between our young man and the director’s wife which later blossoms into love. But suddenly one day, the director recommends the young man for a new project in Mexico and the lovers are parted. He hopes to come back after two years and she waits for him. But then as they say, the best laid plans go awry. When our young man tries to return back, news breaks out that a big war has started. How things pan out after that and how this man and woman end up meeting again and what happens between them form the rest of the story. I like the way the story moves between the past and the present. We know that the two main characters are sitting next to each other in a train and they are travelling towards a potentially happy ending (are they? ), but it is fascinating to find out how they parted and how they got back on that train, and what happened in between. I also loved the part of the story which talks about the young man’s poverty and how he works hard to get out of it and how he hates rich people for treating him like an inferior and how he guards his freedom fiercely. All these are beautifully portrayed. I loved the character of the director’s wife. She was my favourite character in the book – kind, beautiful, elegant, strong. The war that the book talks about is probably the Second World War. This is interesting, because towards the end of the book, we are shown that the war is over, but interestingly, the Nazi party has survived. This is interesting because Stefan Zweig didn’t survive the war. He died in 1942 when the war was still in full swing. He imagined an end to the war which was very different from what actually happened. That pessimistic imagination is probably what most people believed would happen, during those dark days of the war. It is hard to imagine the bleak atmosphere that must have prevailed at that time. The ending of the story was interesting – it was open-ended with things unsaid and what happens is left to the reader’s imagination. I can’t imagine what happened, because every ending I think of, has some unhappiness for one of the characters. I loved ‘Journey into the Past‘. It is a beautiful love story set during an interesting time. It is vintage Zweig. I can’t wait to read my next Zweig story now. Have you read ‘Journey into the Past‘ by Stefan Zweig? What do you think about it? I read my first Stefan Zweig book last year. It was called ‘A Game of Chess and other stories’. 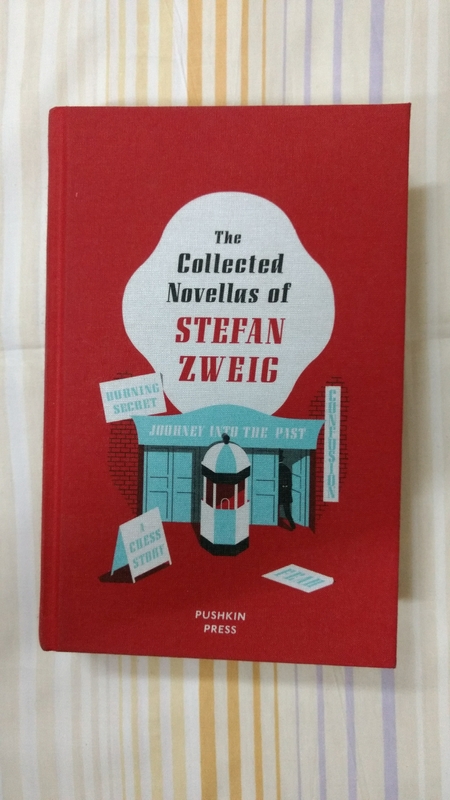 I fell in love with it – with the stories and with Zweig’s prose. So I decided to read my second Zweig book, ‘Letter from an Unknown Woman‘. This book has four stories, the title story and three others – ‘A Story Told in Twilight‘, ‘A Debt Paid Late‘ and ‘Forgotten Dreams‘. The first three are the length of a long short story or a short novella – somewhere between forty and fifty pages. The last one is a short story. In the title story ‘Letter from an Unknown Woman‘, a writer comes home after a walk and when he checks his mail, he finds a letter written in a woman’s handwriting. There is no name on it and no sender’s address. He takes it out and reads it. In that letter a woman tells the writer that she loves him, has always loved him from the time she was a girl, describes how they have met many times and how he didn’t recognize her each time. She then describes the details of her life and their interactions across the years. It is a beautiful, poignant story. I loved this passage from the story very much. The second story ‘A Story told in Twilight’ starts as a story told by one person to another as twilight sets in, in the evening. It looks like an imaginary story set in a castle in Scotland where a boy in his middle / late teens – an age which has been described by some writers as too old to be a boy but too young to be a man – this boy meets a woman in the night when he is taking a stroll. They have a passionate time together. The next day at breakfast time, all the women in the house are there in the dining room and everything is quiet like it has always been. The boy tries to find out which of these women he met in the previous evening. He devises ways to discover that. And then he makes a surprising discovery. And then he does something silly, like all love-smitten people do, and makes another shattering discovery which breaks his heart. I won’t tell you more. You have to read the story to find out what happened. I loved this passage from the story. It showcases the beautiful, evocative descriptions that Stefan Zweig frequently gives. In the third story, ‘The Debt Paid Late‘, a woman who is a homemaker takes a break from her routine to re-energize herself and goes to a small village in the mountains and stays in an inn. Her plan is to stay there for two weeks, walk in the meadow, read a book, not talk to anyone and spend time in tranquility. But there she meets a man whom she recognizes from her childhood. What happens after that is the rest of the story. The whole story is in the form of a letter that this woman writes to her friend, after the events happened. The fourth story, ‘Forgotten Dreams‘, is about two people, a woman and a man, who meet years later and remember their attraction for each other during their younger days, and talk about what has happened in their lives and what might have been. I loved this passage from this story. I liked all the four stories in the book. The first three seemed to have some kind of theme in common – there is a question of identity in each of them. In the first, the identity of the narrator is never discovered though the writer tries to, in the second the identity of the woman is a big surprise, and in the third one, the discovery of the identity of the man brings back old memories. The book is vintage Zweig, with beautiful, flowing prose, beautiful passages and a perfect balance between story-telling and aesthetic beauty. I loved it. I can’t wait to read my next Zweig story now. 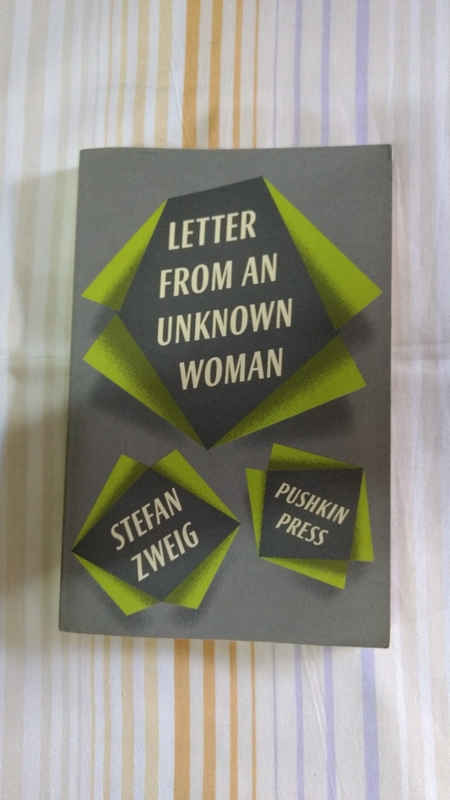 Have you read Stefan Zweig’s ‘Letter from an Unknown Woman‘? What do you think about it? 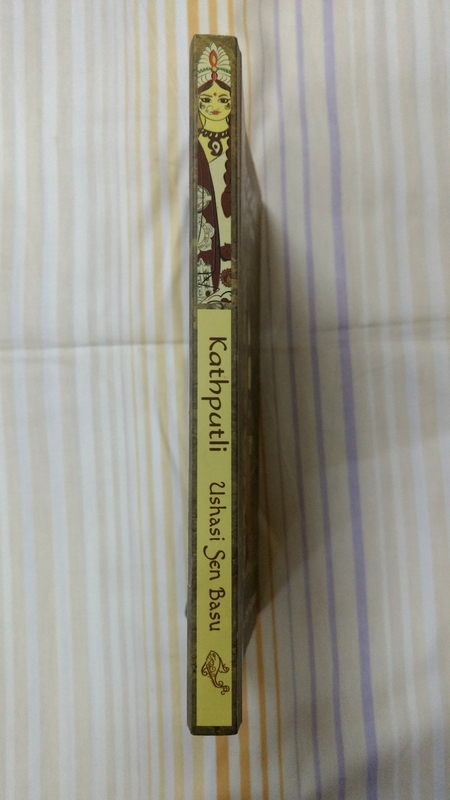 I have wanted to read Ushasi Sen Basu’s ‘Kathputli‘ for a while now. I took it out yesterday and I finished reading it today. The story told in ‘Kathputli‘ goes like this. Chitrangda is not happy with her job and with her life. So one day she leaves her job, takes a break, and goes back to Kolkata to spend time with her family and relatives. She hopes to talk to them, learn about family history and hope to use those stories and anecdotes to write a novel, something she has always wanted to do. She first meets her grandmother. Her grandmother tells her that her life is nothing special but she points her out to a cousin of hers, Puti. Her grandmother says that there is an annual family gathering at their hometown where most relatives would come and she tells Chitrangda that she would be able to meet Puti there. So Chitrangda, who is introverted and avoids people, goes to this family gathering. People are surprised at her arrival there, but receive her with warmth and affection and include her in their conversations. Chitrangda also gets to talk to Puti there. And before long Puti starts telling her about a dark, deep secret in the family which was buried deep a couple of generations back. As Chitrangda hears more, she gets more and more intrigued, as a forgotten woman, a lost woman, a mysterious figure arises like a ghostly apparition out of old family legends and starts looking more and more concrete, with every moment. Who is this woman? What is her secret? Why does nobody talk about her? The answers to all these questions form the rest of the story. The story is told in two interleaving strands. One is set in the current period in which we follow Chitrangda and her adventures and another set in the past, nearly eighty years back, and these look like excerpts from Chitrangda’s novel which she is currently writing, probably based on old family stories that she gathers. The time period shifts between the present and the past and at some point of time they merge into one. I loved this structure. Ushasi Sen Basu’s prose flows smoothly like a serene river – there is light-hearted humour there, there are beautiful contemplative passages (there is one which contemplates on the nature of truth, which is very beautiful), there is ample description of mouth-watering Bengali food – I loved that. I also loved the description of Bengal of the pre-independence era, the wide gap between the haves and the have-nots, the good and not-so-good things about the joint family, the position of women and the challenges they faced everyday – these were all beautifully depicted. I also loved the way the book depicted how things changed in big ways after independence and the way it contrasted life then and and life now through the voices of some of the characters. I also loved the names of some of the characters – Chitrangda, Debabrata – so beautifully classical. There is also a whiff of romance in the story, and in case you are wondering, it is totally children-friendly. There are interesting revelations in the second part of the book and the surprise which is revealed in the end – it is big and knocks the reader off. I also loved the way the book has been lovingly produced – the beautiful cover art, the perfect spine, the charming font in which the blurb is written. 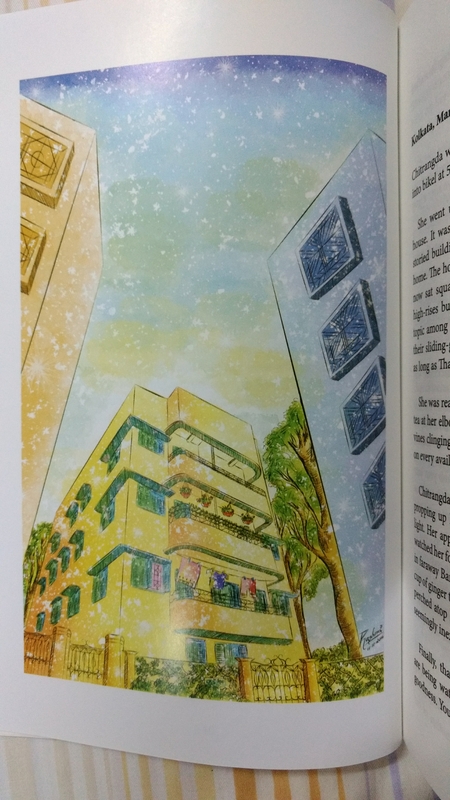 The book also has colourplates painted brilliantly in watercolour depicting scenes from the story. I loved them. ‘Kathputli‘ is about family – relationships, secrets, the good and the bad times. It is also about love, loss, the past and how it affects the future, and the many versions of truth and the true nature of reality. I loved it. I can’t wait to find out what Ushasi Sen Basu comes up with next. 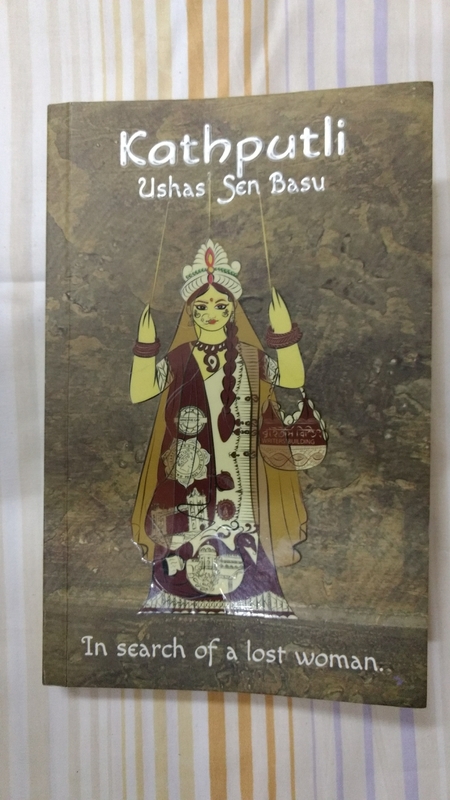 Have you read Ushasi Sen Basu’s ‘Kathputli‘? What do you think about it? I have wanted to watch Satyajit Ray’s ‘Pather Panchali‘ (‘Song of the Road’) for a long time now. Finally, I got to watch this classic today. I must be the last person to watch it. The story told in ‘Pather Panchali‘ goes like this. In a small village in Bengal lives a family, a couple and their daughter. An old woman also lives with them. They are always short of money and the husband doesn’t have a steady income. But they find happiness in the small things. Then the wife becomes pregnant and the couple have a son. The story continues as we follow the adventures of the girl and her younger brother as they play in the woods nearby, go to their neighbour’s homes, talk to the old woman, get sweets from the sweet vendor, cross the fields and see a train for the first time, enjoy getting wet in the rains. Then one day the husband leaves for another town to find a job. And the family, whose everyday life is challenging, goes through tough times. You should watch the movie to find out more. I loved the realistic way rural life in India is depicted in the movie. How people find happiness in small things, how they inflict small cruelties on each other, how mothers expect daughters to be responsible but shower affection on their sons, how neighbours fight with each other but also show kindness towards each other, the affection kids and old people have for each other – all these are beautifully and realistically depicted. During the time when Ray’s popular Bollywood counterpart Raj Kapoor was playing the role of the charming, loveable rogue and dancing around in villages singing prescriptive songs and trying to walk like Charlie Chaplin, Ray’s first movie must have been stark with its realism. I don’t know whether it made money in the box office – probably not. I have heard oldtimers say that they went to the theatre to watch escapist movies and loved to watch the hero and the heroine dancing around a tree, and their real life was hard and they didn’t want to watch that on the screen too. So, I doubt that this movie would have had a lot of mainstream fans when it first came out. But it takes a lot of courage to buck the trend and make a movie which showed things as they are, in contrast to Bollywood of that time which depicted people living in villas and having affairs and flying planes and having a ranch filled with horses – the kind of life most people never lived. We have to admire Satyajit Ray for that. Because Ray was a student of Renoir, I was expecting the European thing in the movie – the camera showing water dripping from the roof for a long time, or the rain falling or the wind blowing or the sound of footsteps, with nothing happening in the story. A little bit of that is there but Ray is careful not to extend it to European lengths. There is minimalism everywhere though – dialogue is there only if required, most of the movie doesn’t have music and we hear only natural sounds, but when music makes its appearance, Pandit Ravi Shankar’s composition evokes magic. My favourite characters in the story were Durga, the daughter of the couple, Durga’s mother, and the old woman who lives in their place. Ray makes sure that this old woman looks old, instead of dressing her well and making her look like a matriarch. This old woman is beautiful, like the painting by Albrecht Dürer of his mother. The acting by all the actors and actresses is understated and realistic. The ending of the movie is sad but there is also room for future happiness and adventures. 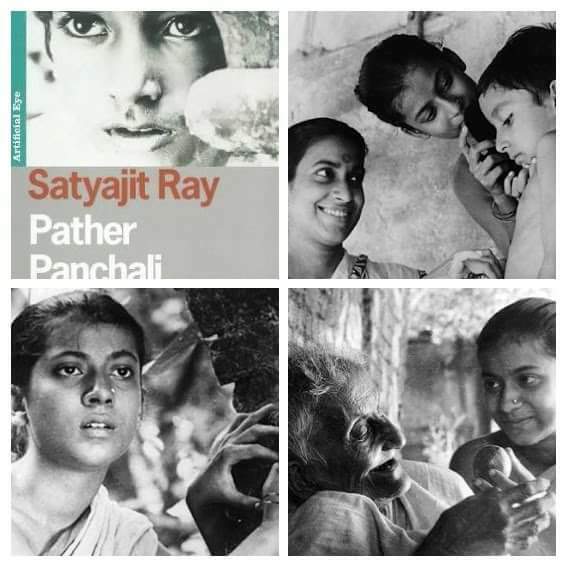 After watching ‘Pather Panchali‘, I wondered why it is regarded as a great work and why it established Satyajit Ray’s reputation. The reason I thought of this was because I have seen many Tamil movies, which came out in the ’70s and ’80s which had a similar theme. Bharathiraja made movies exploring rural themes for more than a decade. They were wonderful movies. Others Tamil directors like Mahendran, Balumahendra, Bhagyaraj and Sridhar made some beautiful rural movies too. (I am sure this is true of directors in most Indian languages.) Why isn’t their work as acclaimed as Ray’s? Why didn’t they win the Golden Lion, for example? When I think about it, the explanation I can come up with, is this one. Ray, probably, was the first to make a realistic rural movie. He was the first off the block. Even the Bollywood blockbuster ‘Mother India’ came later. Many of these rural movies had the Indian / Bollywood formula – there were songs whenever the main characters were feeling happy or sad, there was a comedy track to provide distraction from the main plot etc. Most of these movies also had prescriptive endings, with one of the characters speaking a long monologue in the end, describing what is right and what is wrong. Ray’s movie, in contrast, had none of these. There were no songs, of course. There were no Bollywood-ish formulaic elements. And there was no prescription. Ray’s movie depicted life as it was. I read somewhere that Anton Chekhov once said that his stories didn’t tell people how to live their lives. It depicted how people lived their lives. He said that it was not the artist’s job to prescribe, to advice. It was his job to depict reality as it is. Ray’s movie does that. I loved ‘Pather Panchali‘. I can’t wait to see the second part of the series ‘Aparajito‘ now. Have you seen ‘Pather Panchali‘? What do you think about it? When one of my favourite directors Ingmar Bergman passed, I read his obituary in The Guardian. The writer of the obituary paid tribute to Bergman in glowing terms. Of course, he would. But he also mentioned other directors who he said were as great as Bergman. I can’t remember the exact list of those directors, but I think Roberto Rossellini, Federico Fellini and Yasujiro Ozu were on that list. I suspect that Akira Kurosawa, Jean Renoir and François Truffaut might have also been there on that list, but I am not sure. But I definitely remember one name from that list. The writer of that obituary said that this director was the best of them all. I can’t remember whether these were the exact words he used, but he definitely implied that. The Guardian’s articles are always unsentimental. This one was too. But behind that unsentimental façade, I could feel the writer’s admiration trying to burst out, explode. It was the way people talked about Donald Bradman. Or the way Bradman himself talked about Stan McCabe’s innings. Or the way people talked about Jim Laker’s 19 wickets. Or the way people talk about Gary Sobers. Or Keith Miller. Or Victor Trumper. Or Harold Larwood. Or if you like tennis more, the way people talk about Rod Laver. I wondered how it was possible that I hadn’t heard of this director’s name before, this director whom The Guardian’s film correspondent thought was the greatest of alltime. This director’s name was Robert Bresson. Since I read the article, I have wanted to watch a Robert Bresson film. But for some reason, they were hard to find. Maybe, I didn’t look hard enough. So, I put his name in the list of directors whose movies I would like to watch some day and left it at that. Yesterday, I stumbled upon Robert Bresson’s filmography by accident, and when I browsed through the list, one of the names leapt at me. My heart leapt with it. I opened the shelf which had my DVD collection and rummaged through it. And I found the concerned DVD and took it out. Yes, it was there, in open daylight for all the world to see. I had the DVD of a Robert Bresson movie! It was ‘Diary of a Country Priest‘. How I missed it all these years, I would never be able to understand. I think I I must have got it during the days when I used to do mass DVD shopping, without bothering who the director of a movie was, just going by the title of the film and a brief description of the film on the back cover. Well, I was very excited when I saw the DVD, and couldn’t wait to watch it. I had waited long enough. The story told in ‘Diary of a Country Priest‘ goes like this. A young priest goes to work in his first parish. The members of his parish are either hostile to him or indifferent to him. The girls in the school play practical jokes on him. The count who is an important person in the town, talks to him politely, but doesn’t help him much. The countess doesn’t care about God because her son died in an accident when he was young. The poor people in the parish are openly hostile to the priest. The priest tries to help everyone, giving them suggestions, intervening in their personal affairs to bring positive change to their lives, but the people in the parish rebuff him. The priest writes about his experiences in a diary. That diary is this movie. As ‘Diary of a Country Priest‘ is based on a diary, the story is told in the first person. It means that our narrator, the young priest, is there in every scene. We see the events unfolding through his eyes and we see them through his point of view. This is an interesting and difficult way to tell a story. Many scriptwriters and novelists have done that. But somewhere in the middle of the story, most writers find this way of narration too restrictive and add a third person omniscient narrator to keep the story moving. Some writers add a second or third narrator. Roberto Bolaño had a new narrator in every page of his novel ‘The Savage Detectives‘. But ‘Diary of a Country Priest‘ sticks to a single narrator till the end. And pulls it off. That is one of the great achievements of the movie. The second thing that I loved about the movie was the minimalistic music. Music was mostly absent, except in a few scenes, and there were only natural sounds in the movie. It was beautiful to watch. The third thing I loved about the movie was that it was deep and contemplative. Though it had a strong story which was about a priest and his parish and the happenings there, because the story is narrated through the priest’s diary, there are many beautiful, contemplative, deep lines which make us think. Some of those lines ask some profound questions on faith. One of my favourite lines was this one, which the narrator’s mentor speaks to him. It is no surprise that the movie is based on a novel. One could sense that, when listening to the contemplative lines being spoken – they have a bookish feel to them. The ending of the story is beautiful, sad and in some way glorious too. You have to watch the movie to find out what that is. Claude Laydu delivers a brilliant performance as the young, idealistic priest. So, what is the final verdict? I loved ‘Diary of a Country Priest‘. I will be definitely watching more of Bresson’s movies. 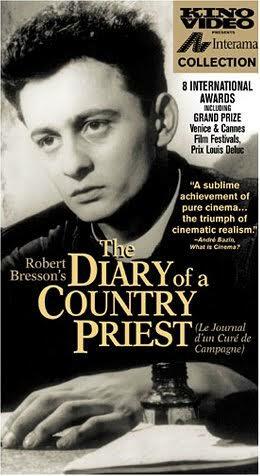 The big question though is this – is Robert Bresson the greatest film director of all time? I am not sure about that. I have always had a soft corner for Ingmar Bergman. I think he is still my favourite. But I like Bresson. And this is early days yet. So we have to wait and see what happens, while I continue to watch more Bresson movies. Have you seen ‘Diary of a Country Priest‘? What do you think about it? Have you seen other Robert Bresson movies? Who, according to you, is the greatest film director of alltime?